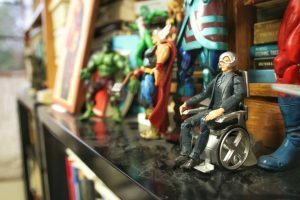 Editor’s note: Dr. Jeff Tyler submitted this reflection upon learning of the passing of Stan Lee, former writer and editor-in-chief of Marvel Comics. Lee is known for making household names of many of today’s most beloved superheroes. Twelve years ago Karima Jeffrey of the English Department and I offered a course at Hope called “Vocation, Spiritual Identity, and Comic Book Heroes.” It was exciting to blend our backgrounds and interests—Karima—a young African-American English Professor and myself a mid-career and white Professor of Religion and European History. Both of us had read Marvel Comics as teens and we were now aware that the Marvel movies were exciting a new generation of readers and viewers. 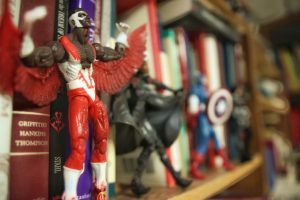 We chose Marvel Comics in part because first year students were about to discover new gifts and abilities—new superpowers, so to speak—and we wanted characters who dramatized the difficult decisions we all face about calling, power, and identity. We had a particular focus on women in Marvel Comics, which increased our chance of attracting women to our class and allowed us to examine changing images of women in this medium. An exceptional group of students signed up for our class. We were astounded that the characters Stan Lee and his colleagues created continued to mesmerize and raise compelling questions about the human condition. Though Karima has moved on to Hampton University, I recall our course often. A wall of my office still displays the Marvel actions figures I purchased for our teaching. 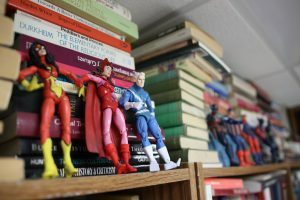 Today students sometimes come to my office anxious about a grade or feeling disconnected from me; they look right, see the action figures and say, “Is that Storm, or Captain America, or Giant Man?” Immediately we find common ground. 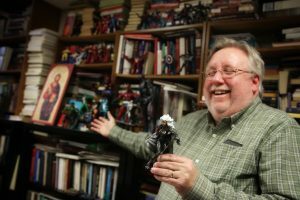 I have likewise been pleasantly surprised by the number of Hope women—both students and faculty—who remain avid readers of Marvel and devotees of the movies. This semester I am offering a course for first year students on the American Dream. In homage to my course with Karima, we read a selection of comics about Ms. Marvel—one of the new characters in the Marvel Universe. This teenage Ms. Marvel lives in Jersey City and, like her parents, is deeply devoted to Islam. She raises fascinating questions about the future of America, the American Dream, and the rich legacy of Stan Lee.